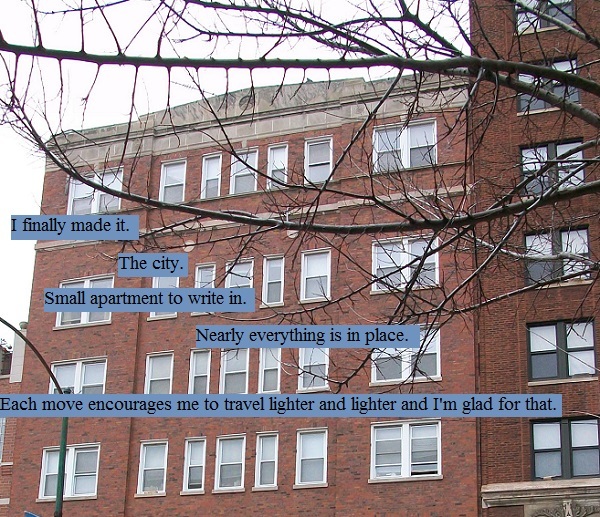 I enjoy small city apartments myself with fewer distractions from writing and within walking distance to necessary shops and bus lines. I couldn’t agree more. Give me a small studio in a big city over a giant out in the suburbs any day.